Six of Jersey's best young sportsmen and women have been chosen to represent the island at the upcoming Commonwealth Youth Games. Four swimmers and two athletes will represent the island in the Isle of Man in September. 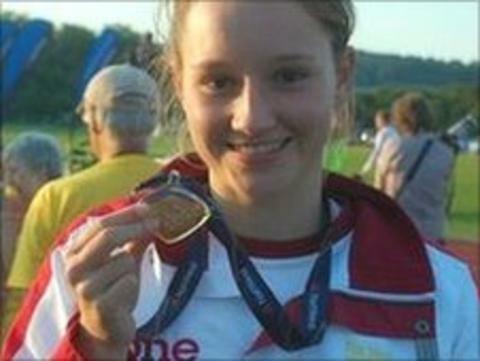 Discus thrower Shadine Duquemin, who won two golds at the Island Games, will be joined by runner Robert Stenhouse. Swimmers Emily Bashforth, Ella Dias, Giovanni Guarino and Charlotte Manning make up the remainer of the squad. The Commonwealth Games Association of Jersey says they've all had to meet rigorous qualification standards to compete at the youth games. More than a thousand competitors from around the world will be at the event in the Isle of Man in September.